Don’t trust just any truck financing company to assist you with financing for your day cab or over the road (sleeper) semi truck. Our passion for class 8 truck financing and the effectiveness and speed of our lease and loan products is unmatched. Since 1986, we have been offering the best rates, longest terms, and highest reliability of any over the road trucking lender in the marketplace. Semi truck and trailer financing with fleets and owner operators in mind. Long Haul Finance Group is your one stop shop for semi truck and trailer financing, leases, loans, and working capital. 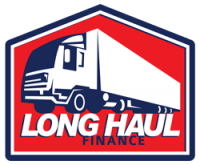 At Long Haul Finance Group, we know the industry and have tailored our loan and lease financing products to fit the unique needs of trucking companies. Whether you are an owner operator needing to add a single semi truck or a fleet operator expanding by adding several trucks or trailers, we can help by providing fast, easy, and reliable semi truck financing options. Bank and credit unions are great resources for credit lines, real property loans, and personal loans - but semi trucks are a different story. Often, new trucks can be financed by the manufacturer, but used trailers and older semi trucks, especially pre-emissions units, fall outside of the bank credit window. Unlike banks, we have no age or collateral restrictions. If you see value in a truck or trailer - day cab OR sleeper - we can help you finance it! 98% of semi truck transactions are not funded by local banks or credit unions. Long Haul Finance Group is proud to offer leases and loans on Class 8 trucks with more term options and greater flexibility. We'll guide you through the whole process of getting funding for your semi truck or trailer need.